You are invited to come and play along with Kingsclere Ukulele Group. Everyone is welcome from those just starting out to seasoned players. The ukulele is a fun and easy instrument to learn, easier still if you know a few guitar chords. Learn new songs and skills, all taught in an informal environment. No membership is required, just turn up! 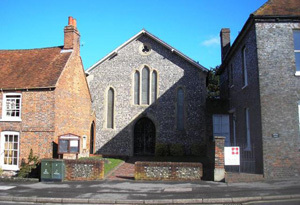 We meet every other Tuesday from 7.30pm until 9.30pm at the function room of the Methodist Church in Kingsclere and full details can be found here. We have a number of second-hand ukuleles for sale. You can also find out more about other local groups and private tuition in the Berkshire and Oxfordshire area by visiting Ukuleles.org.uk.